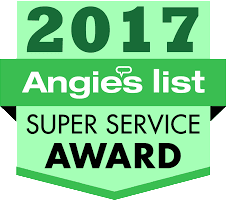 DJ’s Lawn Sprinklers is committed to providing the highest quality lawn sprinkler repair and customer service to our customers all over Southeast Wisconsin. Since our company’s first service call in 1988 we have added nearly 3000 customers throughout the great State of Wisconsin. When you contact our fully staffed office you will speak to some of the friendliest, most professional office staff in the business. Even if we did not install your system originally, we will be more than happy to accept you as a new customer. Our Service Department services all brands of sprinkler systems from Rain Bird, Toro, Hunter, K-Rain, and Irritrol to name a few. All service calls are subject to a service charge and a per hour labor rate, which is billed in 15 minute increments after the first hour. This charge includes our costs of sending a skilled worker with a fully equipped vehicle to your home, the office help it takes to get your appointment scheduled quickly and efficiently, and fuel costs. We are here to help you maintain a beautiful yard. If you see a problem, let us know right away. Please contact us today for all your irrigation service needs.